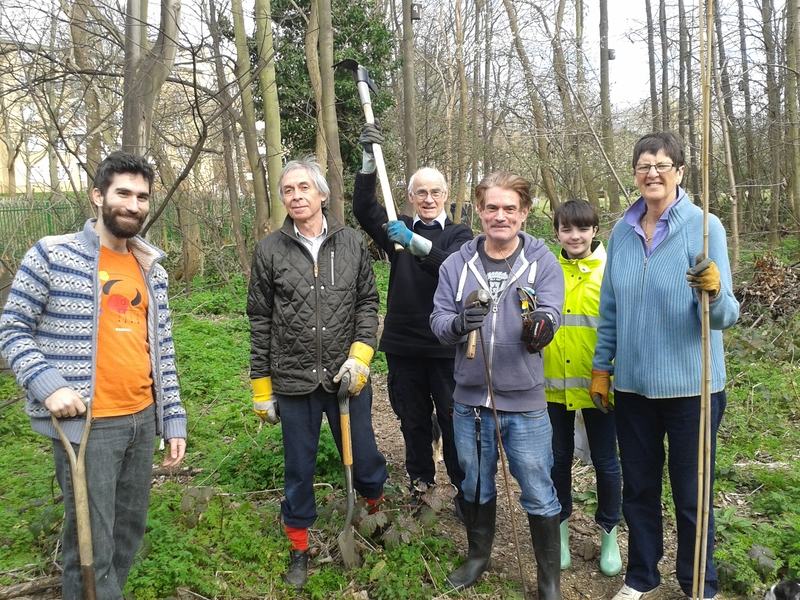 Yesterday eight volunteers met in Dog Kennel Hill Woods to plant thirty trees that were given for free by the Woodland Trust. These particular trees were donated by Ikea. We had applied last year for a “small coppice” pack which consisted of 10 rowan, 10 wild cherry and 10 silver birch. The protective canes and spirals had not arrived from the council so we had to mark the trees with assorted ribbons. The trees are tiny and will soon be swamped by the cow parsley so it was important that we marked them so we can fund them later. This is probably the last time that we plant more trees for a while as we now need to concentrate on what we now have. 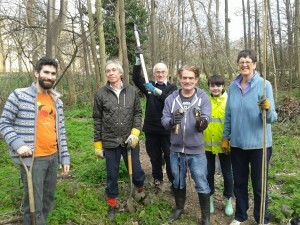 It was heartening to see that many of the trees we had planted previously are doing well. There were a few fatalities noted but this is inevitable and part of the reason you need to plant trees over a period of time. Many thanks to those who helped. By the end we had a good system of one person digging, one person planting and another marking. The wood now has a much more diverse selection of trees in it that will hopefully mature as the existing sycamores die out.